Mahalo nui to everyone who signed up for my newsletter this week, as well! I have some great giveaways and announcements coming up soon 📚 And don’t forget to leave a review of the book when you finish it. It really helps the book get more traction & reach more and more people. 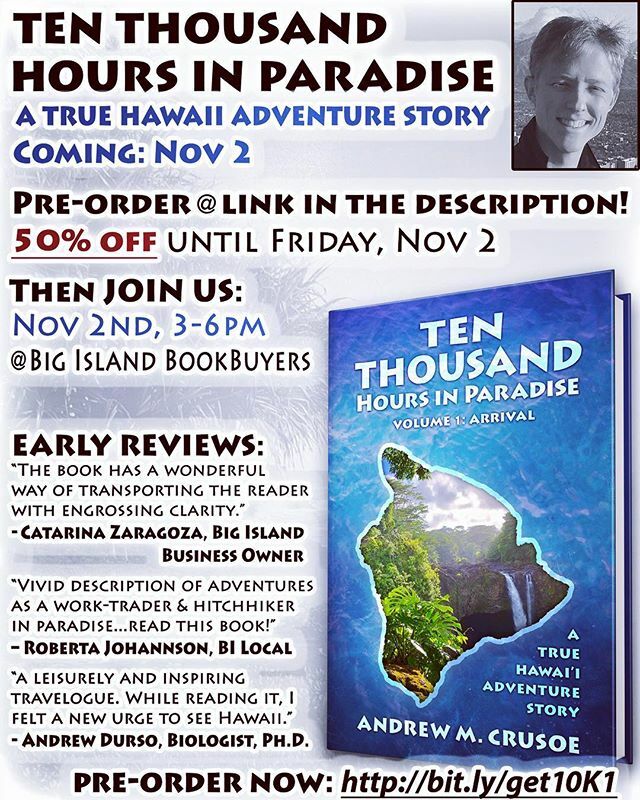 OH, and if you’re on the Big Island, please stop by Friday night to get your Limited “FIRST PRINTING” edition. There will only ever be less than 40 in existence, so if you’re a collector, or even if you’re not, come on down! 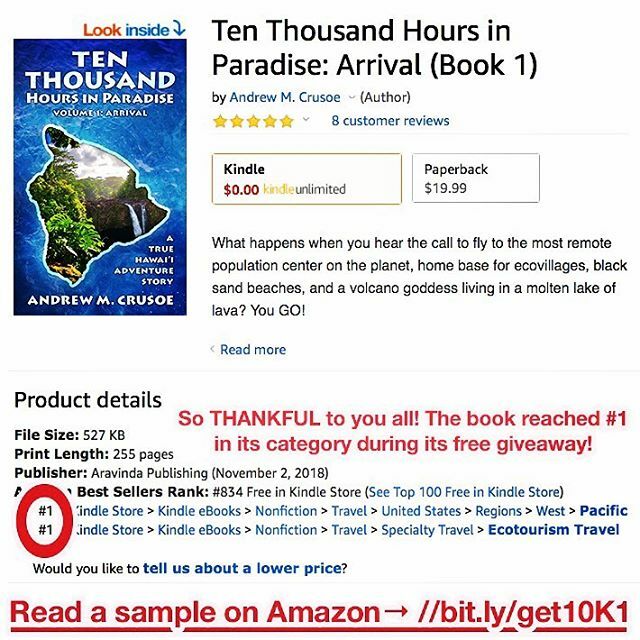 (Paperback coming soon to Amazon, until then it’s exclusive to Big Island BookBuyers) Thanks again!